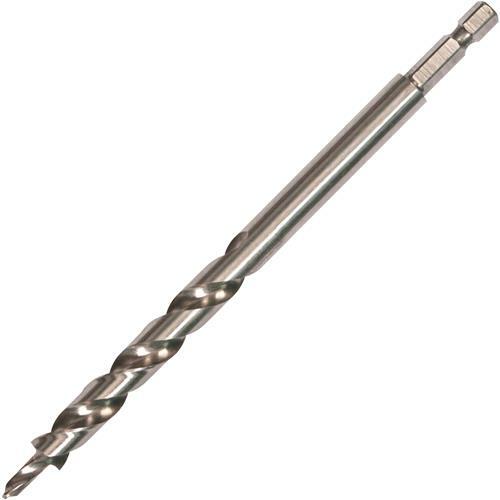 The Kreg Hex Shank Pocket-Hole Drill Bit was designed and constructed with the same rigorous standards as the well-known Kreg standard round shank (KJD) drill bit. It features the same stepped bit design, the same high quality construction, but also features a new hex shank which increases hold strength and reduces slippage in the chuck. This replacement 3/8" diameter step drill bit with 1/4" hex shank is part of Kregs offering of Quick-Change pocket-hole accessories.